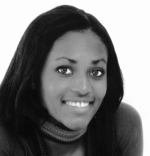 Ariana Westbrook is an undergraduate at the University of Washington. She has grown up in the Pacific Northwest and now resides in Blaine, Washington. She is especially interested in the history of African Americans in the Pacific Northwest.